Arizona Sen. John McCain issued a statement today in which he denounced Donald Trump’s remarks regarding the parents of a fallen Muslim U.S. soldier. McCain also said that while his party did give Trump the nomination, it was not a free pass to disrespect those who have served the country. 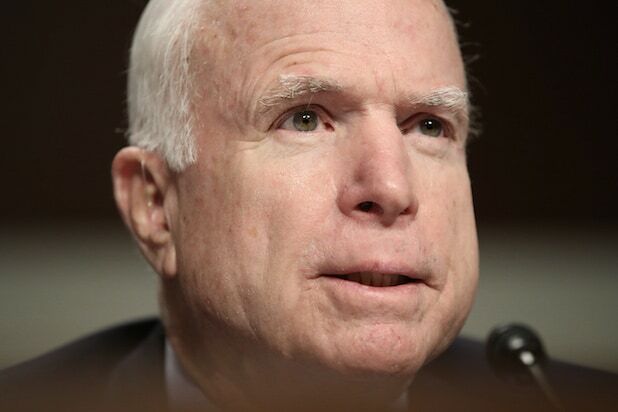 “While our party has bestowed upon him the nomination, it is not accompanied by unfettered license to defame those who are the best among us,” said McCain. The GOP presidential candidate has come under fire after criticizing Ghazala and Khizr Khan, the parents of a fallen soldier who served in Iraq. After Mr. Khan took the stage to deliver an emotional speech at the Democratic Convention that rejected Trump’s proposed ban on Muslim immigration, the candidate suggested that Mrs. Khan’s silence during the speech was attributable to restrictions placed on her by her faith. McCain served in the Vietnam War, where he was held captive for seven years. He was also criticized by Trump last year, when the candidate said that the senator was not a war hero because of his internment. The majority of Hollywood stars have come out against Donald Trump, but that doesn't mean he doesn't have a few celebs backing him. Here are some of the notable personalities that have arrived in Cleveland. Daytime television viewers know actor Sabato for his roles on "General Hospital" and "The Bold and the Beautiful." An actress best known for her roles in the TV dramas "The Young and the Restless" and "The Bold and the Beautiful," Kimberlin Brown is also a California avocado farmer, host of The Design Network’s interior designer show "Dramatic Design" and a small business owner. Baio landed his first starring role in the 1976 movie "Bugsy Malone" and is known for portraying memorable characters on several hit shows, including "Happy Days," "Joanie Loves Chachi" and "Charles in Charge." More recently, he has appeared in the Emmy-winning show "Arrested Development" and the Nick at Nite comedy "See Dad Run," which he also produces. When he was young, Baio campaigned for Ronald Reagan, and in the 2016 GOP primary, he endorsed presumptive nominee Donald Trump. 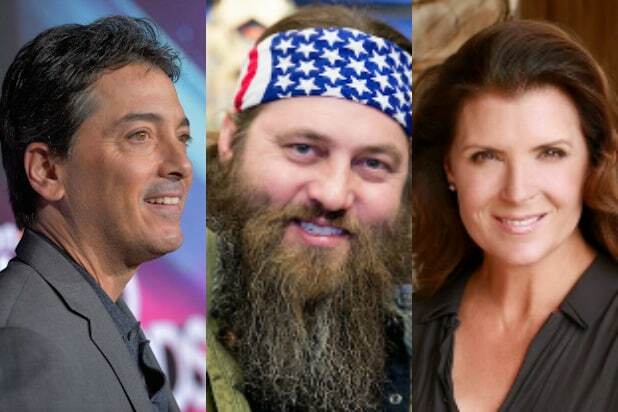 The star of A&E’s hit series "Duck Dynasty," Willie Robertson, is the CEO of Duck Commander and Buck Commander, a New York Times best-selling author, traveling speaker, father of five and an avid outdoorsman. Ivanka Trump is a real estate executive and entrepreneur who frequently appeared with her dad on "Celebrity Apprentice." As Executive Vice President of Acquisitions and Development at the Trump Organization, she is leading some of the company’s most high-profile deals, including the $200-million conversion of the historic Old Post Office in Washington, D.C., into a luxury hotel and the $250-million renovation of the Doral Golf Resort in Miami.